We are off to Ottawa this week for the Ottawa Orchid Society Show and Sale, 2451 Riverside Drive. Saturday from 12:00 to 5:00, Sunday from 9:00 to 5:00. As claimed in a recent Wall Street Journal article – Roses are red, Orchids are addictive! Come give in to your addiction this coming weekend at the annual spring Orchid Show and Sale at the Royal Botanical Gardens, February 23 and 24, at 680 Plains Road West in Burlington. In addition to our photographs and cards of our native orchids, we have assembled a fantastic collection of orchid related items. From cups and saucers, coin purses and wallets, scarves, vintage jewelry, stamps, postcards and botanical prints, we have gifts for every orchid enthusiast. (And they never need watering!) Our favourite line “Orchids in Bloom” featuring aprons, tea towels and soaps has been discontinued. Quantities of the soaps are limited – so come early for the best selection and to avoid disappointment! Cabbagetown is one of our favourite shows – at the beginning of one of our favourite seasons. This year, as always, we will aim to be under the trees at the south west corner of the park. We will be bringing some European travel images, graffiti and nature. This will also be the first time that our scarves will be at a show here in Toronto. If you can come Friday afternoon, the crowds are thinner and you have more time to talk with the artists and see their products. We have been working at transferring some of our images onto scarves. We premiered them last year in Ottawa at great success, and this is the first time that the full line will be shown in Toronto at the Cabbagetown Festival. The scarves are 70 x 200 cm, 70% cotton and 30% silk. The cotton keeps them nice and light, and the silk loves colour! They can be hand washed or dry cleaned and if they get too wrinkled, a quick pass with an iron will suffice. All images are from my photographs, and the print for the scarf is size as. None of the scarves contain a repeat, they are all as shot. A selection of our designs are available at the Textile Museum of Canada Shop. For information and directions for the Textile Museum, follow this link. The annual spring Orchid Show and Sale at the Royal Botanical Gardens is this coming weekend, February 24 and 25 , at 680 Plains Road West in Burlington. Peter will be giving a talk about Ontario Orchids we have seen on Sunday afternoon at 2:00. Yes we are back at one of our favourite events for the sixth year! In honour of Canada 150, we will be featuring images of our country. Look for us under the trees in the southwest corner of the park. We will try to be close to where you have found us before. If you don’t like crowds, come Friday afternoon for a more leisurely experience. Come join us and other dedicated orchidfiles this weekend in Tobermory at the annual Orchidfest. Hikes and activities all three days. For further information check out their website through the link below. We’re back at the Old Book and Paper Show this Spring. For more information and a discount coupon, follow this link to the Gadsen’s Website and click on the link for the Old Book and Paper Show. The annual spring Orchid Show and Sale at the Royal Botanical Gardens in Burlington is this coming weekend, February 25 and 26th. In addition to our photographs and cards of our native orchids, we have assembled a fantastic collection of orchid related items. From cups and saucers, coin purses and wallets, scarves, vintage jewelry, stamps, postcards and botanical prints, we have gifts for every orchid enthusiast. (And they never need watering!) Come see our beautiful new scarf featuring a colony of Showy Lady’s Slippers – they were very well received at the SOOS show in Toronto. We have also just received a lovely line called “Orchids in Bloom” featuring aprons, tea towels and stationery based on an historic botanical print. Quench your orchid thirst this weekend! Just in time for Valentine’s Day, the Southern Ontario Orchid Society show and sale is this coming weekend, February 11 and 12 from 11:00 to 5:00 at the Toronto Botanical Gardens. In addition to our photographs and cards of our native orchids, we have assembled a fantastic collection of orchid related items. From cups and saucers, coin purses and wallets, vintage jewelry, stamps, postcards and botanical prints, we have gifts for every orchid enthusiast. (And they never need watering!) At this show, we will also be launching a line of scarves featuring Canadian Nature, the first being the Showy Lady’s Slipper. Please join us for the second half of the Originals Christmas Craft Show at the Ernst and Younge Center in Ottawa this December. Come join us at WOTS – Word on the Street – This Sunday, September 25 from 11:00 to 6:00 at Harbourfront. We will have our reading Grannies as cards and prints, contemporary photographs of people reading, and vintage Cabinet Cards and Carte de Visite featuring books and reading to use as great book marks! In addition to our photos, we will have journals with upcycled blankets for covers and mini book Christmas Ornaments. For directions, or more information, click on the link below. coming up over the next few months at different library locations. May 13, 2015, 1:00 p.m.
September 22, 2015, 7:00 p.m. There will be a selection of cards and prints available after the talks. Check this post for updates and additional locations. We are pleased to be at the Cabbagetown Festival again this year. Look for us in the usual spot, near the south west corner of the park. We will be featuring images of Canada, Ontario Orchids, New York and Graffiti. New at Cabbagetown this year are magnets of orchids and t-shirts featuring the Calypso Orchid. For more information or directions, click on the link below. Our first selection features travel photography from Toronto and New York, with card selections featuring Ontario Nature, Wildflowers and Orchids, and of course our Knitting Grannies. Come join us in Tobermory for the start of the Orchid season here in Ontario. Guided hikes, tours and activities for every interest level and ability. And it all takes place in the beautiful Bruce Peninsula. Our photographs and cards of our native orchids will be available for sale. As per previous years at Orchidfest , a portion of the proceeds are donated back for education and habitat preservation projects. Wednesday, May 4, 11:00 a.m. to 8:00 p.m.
Thursday, May 5, 11:00 a.m. to 5:00 p.m.
Wednesday, May 4, 6:30 p.m. In my continuing desire to work with archival and vintage imagery, I have submitted three pieces to the show at GAS. All three pieces are found photographs, combined with text or quotes from two of my favourite authors. Each piece is a limited edition of six. For directions and hours,click the link below. Come join us at the Old Book and Paper Show to see our selection of vintage photographs, postcards and books. The Vintage collection on the website illustrates a small assortment of what will be available. All are one of a kind offerings – come early for the best choice. Follow this link for a coupon for $1 off admission. 11:00 to 5:00 both days. Tours, lectures and sales throughout the day. 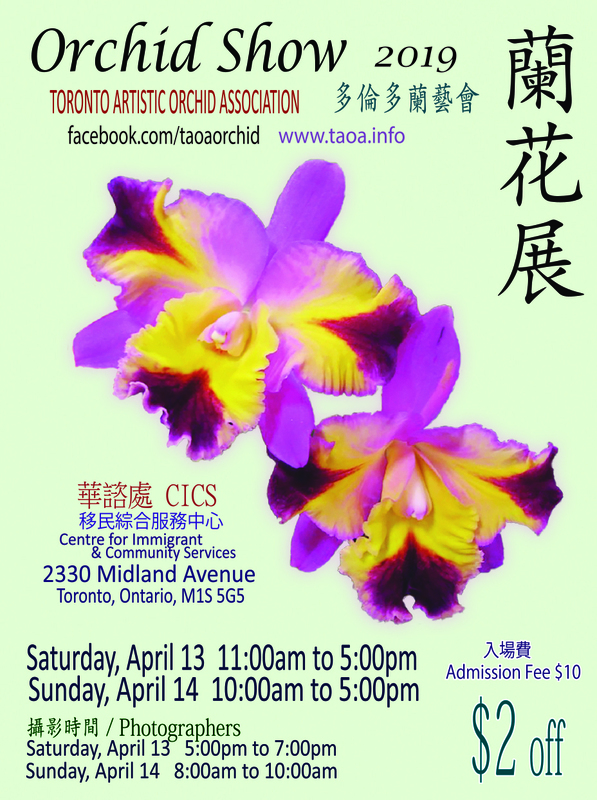 We will have a sales table featuring our cards and prints of Ontario Wild Orchids. We will be featuring images from Paris, Vimy, Venice, New York, Japan and of course our wild Ontario Nature – Orchids, Wildflowers, Butterflies and our favourite birds too! Go ahead, judge a book by it’s cover. We all do it. I must admit that I have a weakness for books, and for older books with interesting covers or illustrations. The design work that has gone into the “Lily Series” seen here as Hope and Rest and The Doors Ajar are wonderful examples of their time. Now their subject matter may not always be to my taste, similar to Only A Lad, they are from a series of faith based novels, but their covers are still remarkable works of art with the added embossing and colouration. All of the books and ultimately other ephemera and vintage photographs that are in the “Vintage” collection are for sale. The price will be in the comments when you select the image. As shipping costs vary by book, please email me if you are interested in any of these. I bring a selection of vintage books, ephemera and photographs to my shows, the next being “In Other Words“, with information in an earlier blog post, or on the home page. Beautiful cover – binding is loose. No date mark, late nineteenth century. Five Artists in their own words. Farooq Ikram, an artist and designer working with painting on silk, and Nancy Johnston, writer and fibre artist working with repurposed wool. John will be showing some of his recent work with photographs of books and reading along with his popular graffiti photographs. Wendo will be bringing her original and eclectic array of felted wild and whimsy with a special focus on TEXT-ures. In addition to the artworks for sale, there will be two presentations in the auditorium. Wednesday, December 2 at 6:30 p.m. Copies of his poetry books will be available for sale. A selection of vintage books and frontispieces will be available for sale from Alexander Arts Vintage. Wednesday, December 2, 2015 11:00 a.m. to 8:00 p.m.
Thursday, December 3, 2015 11:00 a.m. to 5:00 p.m.
As always, there is no admission charge to come to our show on the mezzanine at the Textile Museum. Thanks to all of the voters at Word on the Street, we now have names for our Reading Grannies, Ruth, Rose and Rachel. These ladies were a big hit at Word on the Street! Look for them at our upcoming shows or coming to a bookstore near you.